With years serving the Downtown Charleston area, we have seen and aided homes, businesses, and commercial properties dealing with the effects of water, fire, mold, storms, flooding, and biohazardous threats. We have a full roster of IICRC-Certified restoration technicians, several of which who have continued education to become Master Restorers in their respective niches of the industry. We can approach every emergency or disaster with efficiency and effectiveness because of our layers of experienced leadership and committed technicians working to exceed expectations for our customers with every project we undertake. 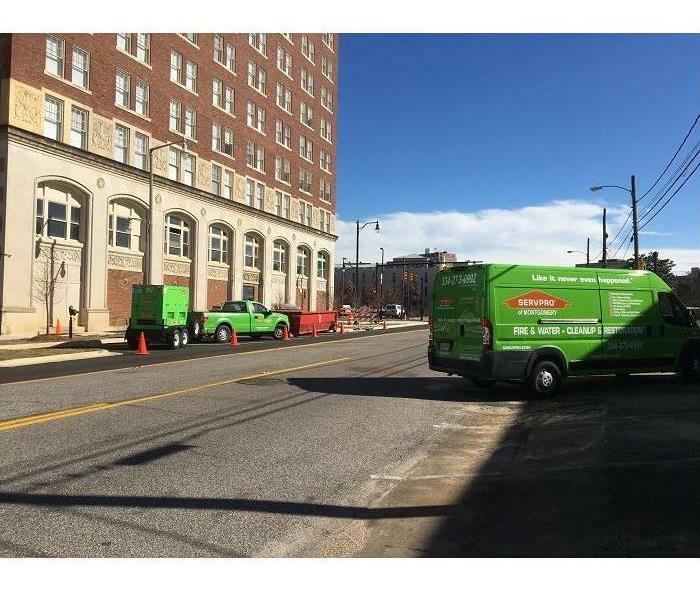 We understand the importance of a fast response when your property suffers the effects of any disaster or emergency, and that is why our SERVPRO of Downtown Charleston team offers a 24/7 response. We can arrive quickly with mitigation solutions and our industry-leading equipment to save you time and money on the restoration work that your home or business requires. SERVPRO of Downtown Charleston is locally owned and operated—so we’re a part of this community too. We are also part of a national network of over 1,700 Franchises, which enables us to respond quicker with more resources. For major storms and disasters, we can call upon special Disaster Recovery Teams strategically located throughout the country.